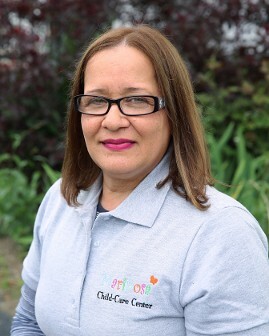 Originally from Puerto Rico, Tia Barbara is the teacher who has been with us the longest. 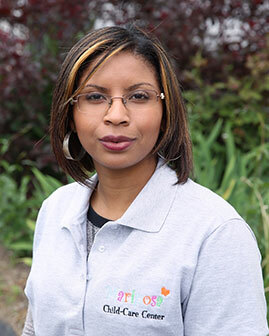 Tia Barbara started with us as a substitute teacher and grew her career to become a very talented teacher for infant, toddlers and preschoolers. After obtaining her teaching certification Tia Barbara is always looking for ways to grow professionally and to better teach our children. Barbara lives in Roslindale with her daughter and her family. She loves reading and spending her free time near the lake. Bianely is originally from the Dominican Republic. She started with us with very little experience in a child care setting. Since then she has gained the trust of her children, parents and teammates. 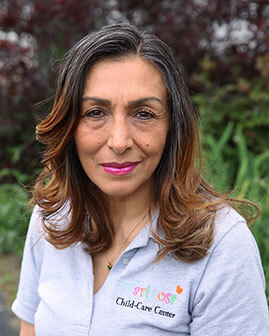 Tia Bia used to work in the insurance industry, but decided to move where her passion is, working with children. She lives in Roslindale with her mother. Originally from the Guatemala. She had studies as administrative assistant in Guatemala. She worked in that field for about 2 years. She then decided to move to the US in 2006. She lives in Dedham with her family. She married her husband in 2008. Because of her passion for children she decided to start a new career in the early childcare field. Tia Helen likes to spend her free time with her family watching movies. Tia Helen has a earned a CDA while working for Mariposa in 2018. A CDA is a nationally reganized teaching credentials. Tia Keishla came from Puerto Rico in 2017. Immediately started looking for a job in what she is more passionate about, teaching young children. In a very short time Tia Keishla has gained the trust of her children and teammates. Tia Keishla loves teaching children theater and dancing. 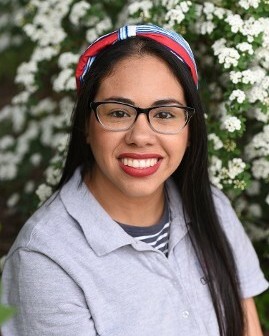 She has a bachelor in education from the University of Puerto Rico and was participating in her master degree until decided to come to Massachusetts. She lives in Fall Rivers with her family and is also the Director of our Spanish Saturday Club. Originally from the Colombia. 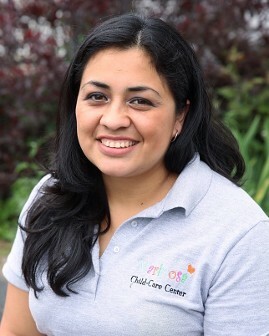 Tia Martha came to MCCC with experience from a family day care. During her time with us she has gained the trust of the team, parents and, above all, of the children under her care. Back in Columbia Tia Martha speaks Spanish, English,. After coming to the US she decided to start working with children because of her love for them. Tia Martha lives in Roslindale with her family. 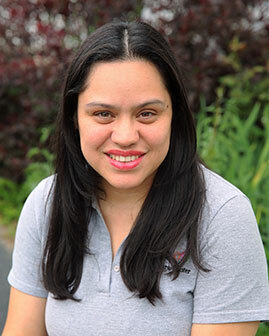 Originally from Guatemala, Tia Patty is a student at Fisher College. She came to Mariposa certified as a Teacher for Preschoolers. After working with children for several years, Tia Patty came to Mariposa to continue to grow in her path as an educator. She loves children and always offers them love, respect and challenge them. Tia Patty lives in Walpole with her husband, two children with whom she loves to spend time with when free. Tia Ysabel is originally from the Dominican Republic. She is from a place called La Villa Olimpica. Tia Ysabel came to Mariposa and has earned the trust of children, parents and teammates. Tia Ysabel is hoping to obtain an associate degree from Urban College. She has a child and lives in Dorchester. Tia Ysabel has earned a CDA while working for Mariposa. This is a nationally recognized teaching credentials.